ENVE Trade In -> Trade Up Event! You work hard and strive to achieve that coveted work, ride-life balance. While life demands compromise, your riding equipment does not. We think you deserve best in class hand-crafted carbon, ride quality, and rider support. We think you deserve ENVE. 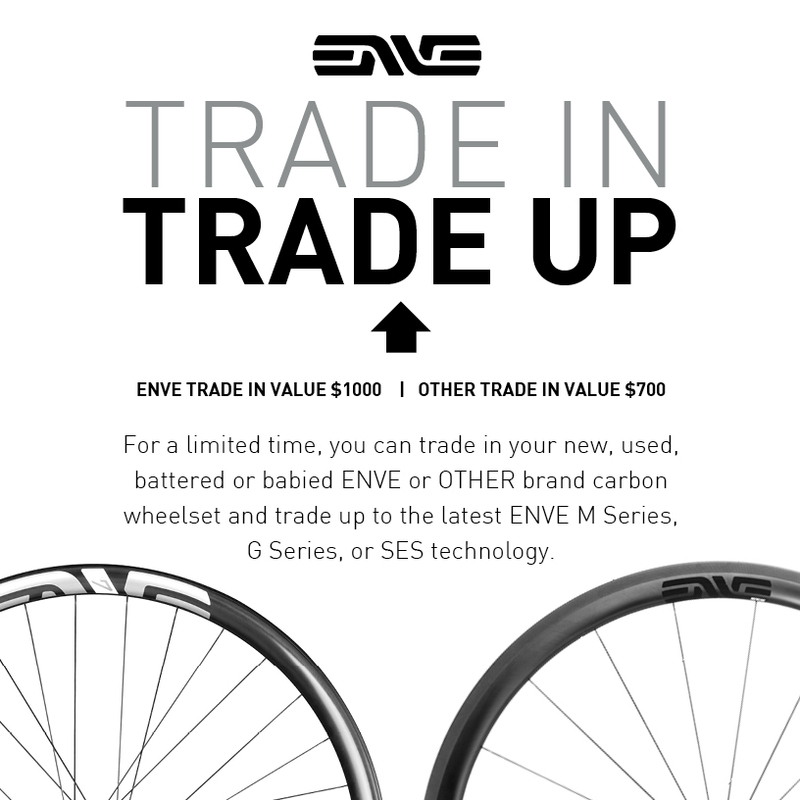 ENVE will accept your used ENVE or non-ENVE wheelset through Bike Tech, and issue a credit towards the purchase of a new current-model ENVE wheelset. Trade in wheelset must be in rideable condition. This program ends January 3rd, 2019. This program does not apply to RIMS, SINGLE WHEELS, or DARK DEALS items.